We all have our 'Go To Products' that we use every single day and feel we can't live without. So today I'm listing my favourite stuff that I'm using everyday during the summer and can't live without. Mascara - A basic staple in every girls makeup kit. I have about 15 to 20 mascaras in my kit at the moment but right now I'm turning to just two 90% of the time. Avon SuperExtend Mascara - Oh I love this stuff. I wear this 9-5 on work days because it is so waterproof (most waterproof don't cut it for me), the wand rocks and it makes my lashes longer (all things waterproofs usually lack in). Cargo Triple Action Mascara - I got this as a tester before it hit the shelfs, but I love this on days I can wear non-waterproof mascaras (aka the weekends and nights). The same awesome wand as my Avon mascara but with a curling formula that lengthens and thickens. 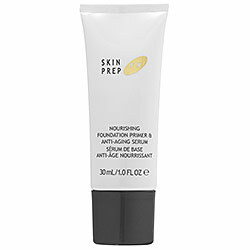 CoverFX Skin Prep - This stuff is so light and silky on the skin with nurturing properties I just love it in the summer (they also make a similar version with an spf if you want). Mark Get A Tint (in Light) - In the summer months heavy melting foundation is not an option. 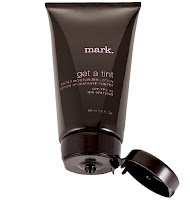 Tinted moisturizers and quick, easy, moisturizing and light on the skin. This one protects my skin with an spf of 15 and moisturizes it while evening out my skin tone. Light on the skin and leaves it soft. I have to buy one of these every summer. CoverFX SettingFX - This is a mineral setting powder. 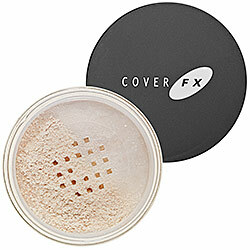 I have never tried a mineral setting powder (Mac Mineralized Skin Finish Natural being the only exception). This powder acts like a translucent powder by setting the makeup, but is mineral based and leaves the skin so silky and smooth. Oh how I love you SettingFx. Vasanti Tinted Lipbalm - I got two of these this week and they are in my purse all the time. I love how smooth they are and how glossy my lips look with them on. So summery and sheer, I've fallen in love.